Winter is a season full of cold weather and simple comfort food. Between the busy holiday season, snow storms (especially if you live somewhere prone to lots of snow – like me in Minnesota!) and family schedules constantly being juggled and changing, dinner can easily get overlooked. That’s why easy family meal ideas are a must have. Even better if they are comfort foods, right?! Busy moms don’t always have time to slave away in the kitchen for hours preparing the perfect, hearty winter’s meal. I’ve put together a great list of cheap and easy 30-minute-or-less easy meal ideas that are perfect for the busy mom who just wants to set something up and go on with her day – and let’s be honest, that’s most of us! 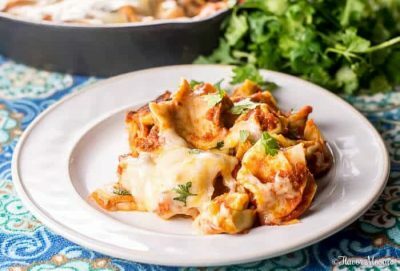 These simple and easy meal ideas are perfect for busy winter nights, can be made ahead and even frozen, and will guarantee that your family will be able to sit down together and enjoy a delicious meal, despite hectic schedules. 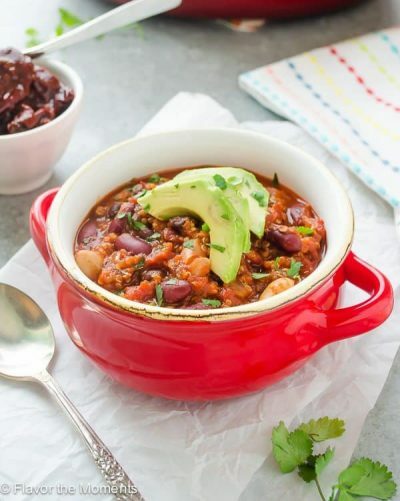 From hearty soups, generous casseroles, and main courses, to delicious sides and snacks, these simple slow cooker recipes will become your go-to meals during the winter months! 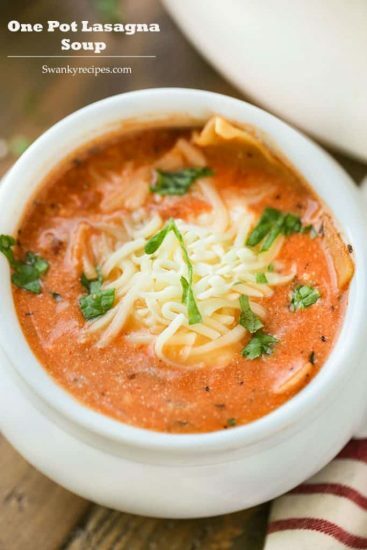 Tomato soup and grilled cheese is the definition of simple comfort food. This recipe combines the two in a genius way, and only takes a whopping 15 minutes to prepare. Find the recipe here! 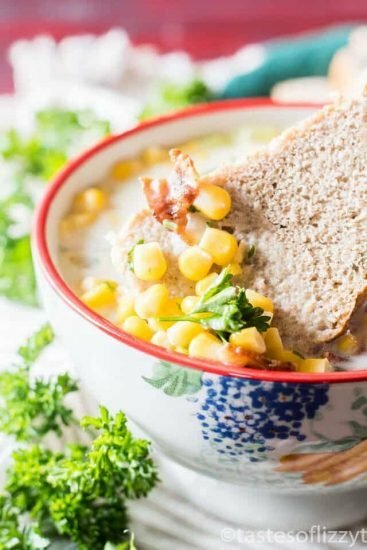 This 5-ingredient chowder is creamy and delicious for a cold night spent inside. From start to finish, it only takes about 30 minutes to prepare. The ingredients are super easy to find and it’s vegan-friendly. Get the recipe here. This creamy soup with tender lasagna noodles, ricotta cheese, fresh mozzarella cheese, basil and fire roasted tomatoes is a delicious take on a classic lasagna recipe. You can toss all the ingredients into one pot (a slow cooker, perhaps?) and 30 minutes later, you’ll have a meal that feeds a crowd. 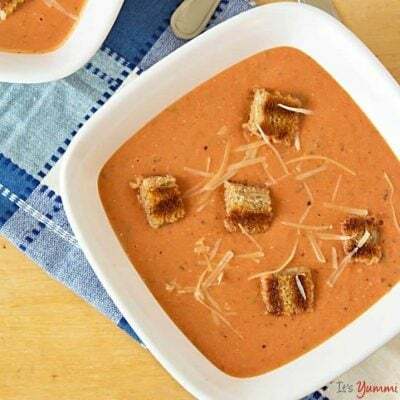 Extra cheese and some crusty bread for dipping makes this vegetarian soup a go-to comfort food. You can find the recipe here. 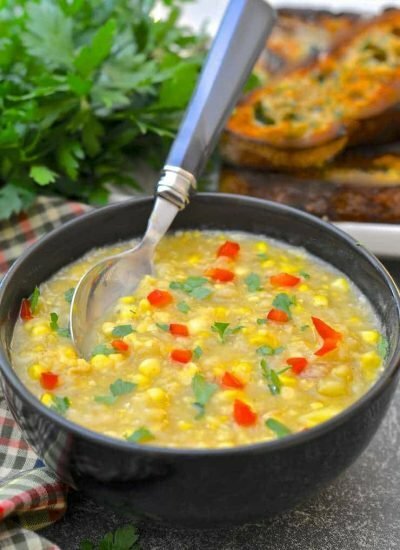 Another super-easy soup recipe is this great cream of corn soup. It can be customized to your liking and pairs perfectly with crusty bread, a salad, or warm sandwich. Check out the recipe here. 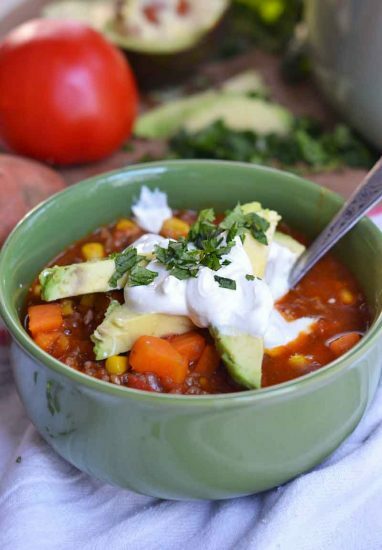 This savory, spicy chili is an absolute breeze to throw together. You probably already have most, if not all of the ingredients in your pantry already. So toss on an apron and raid the pantry and you’ve got dinner set for tonight! Find the recipe here. A ten-minute dinner that doesn’t come from a drive thru? Yes – it IS the real deal. 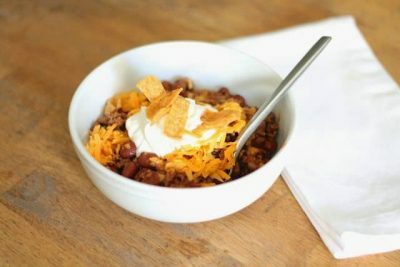 This basic chili recipe is perfect for a fast and easy dinner on nights when family meal time is limited. You can even make it ahead of time and reheat for leftovers. Get the simple recipe here! 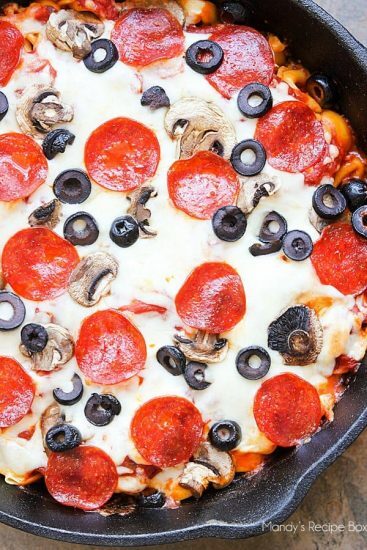 Pasta and pizza harmoniously mixed together and tossed in an oven – what more could you want? Customize this delicious recipe with toppings of your liking. This is simple comfort food at it’s finest, folks. Pick up the recipe and baking instructions right here. Shake up taco night with this Tex-Mex flair of a dish. 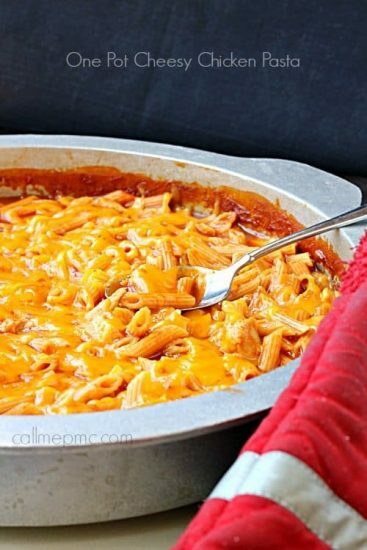 Super easy to make on busy school nights, cold winter nights, and basically any other night of the week. This recipe includes make-ahead directions as well. 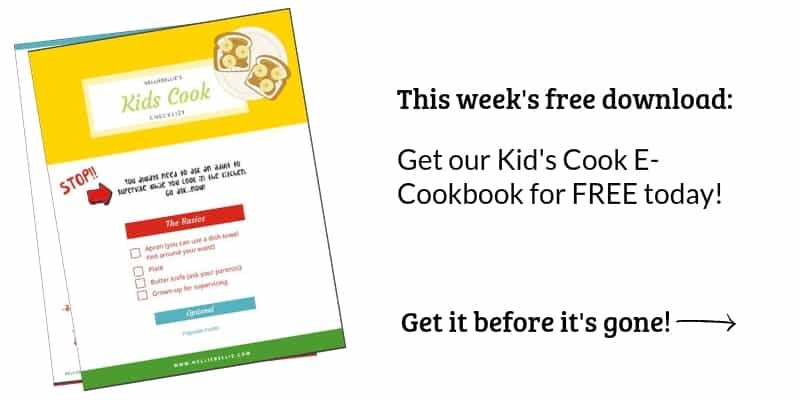 It’s the perfect recipe for busy moms – you can get it right here! 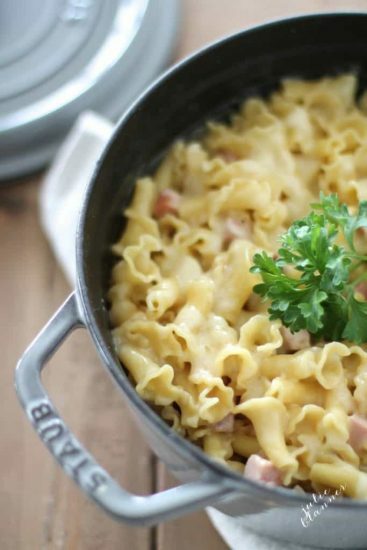 This one-pot pasta dish uses Manwich in an unconventional – but downright delicious – way. What’s not to love about this recipe? It’s cheesy, it’s simple, and it’s pasta. Need I say more? Get the recipe here. Hamburgers are a go-to, quick-and-easy weeknight meal, sure. But they wouldn’t necessarily be classified as comfort food. Well, that’s about to change. 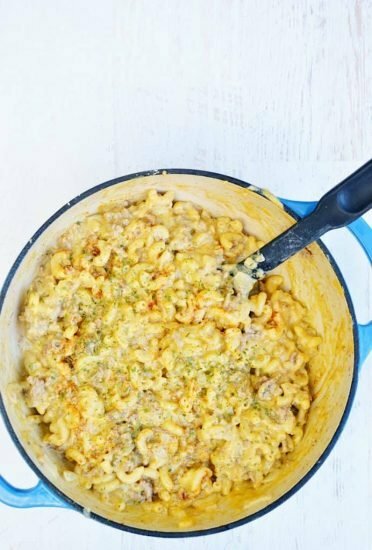 This super easy-to-make hamburger casserole changes the game. The more mustard, the better. Plus, this dish is gluten and dairy-free. No bun, no problems. Don’t worry, dinner is set for the night. You can find the recipe here. Classic lasagna is a time-consuming task to take on, especially when your time is already super limited between soccer games, school meetings, and work schedules. 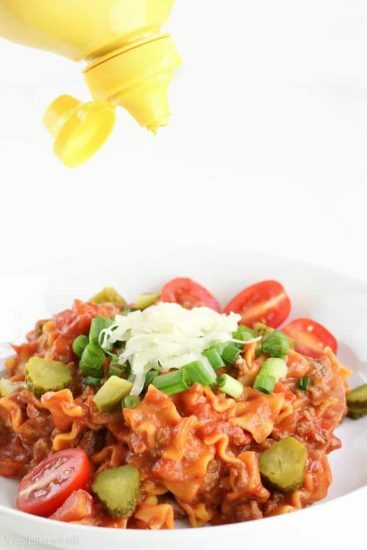 With this easy tortellini recipe, you cut out a huge chunk of time but sacrifice no flavor. It’s super cheesy, super delicious, and super easy to make. Check out the recipe right here. This one-pan meal requires minimal effort on your part. 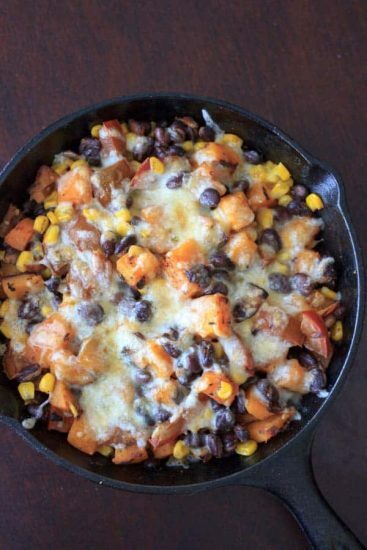 Dump in the ingredients, stir, top with cheese, and serve with tortilla chips or corn/flour tortillas. 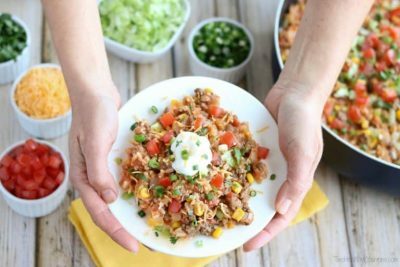 This recipe is so versatile that it can even be used as a great party snack on game day or movie night and it keeps well for leftovers. Directions can be found right here. 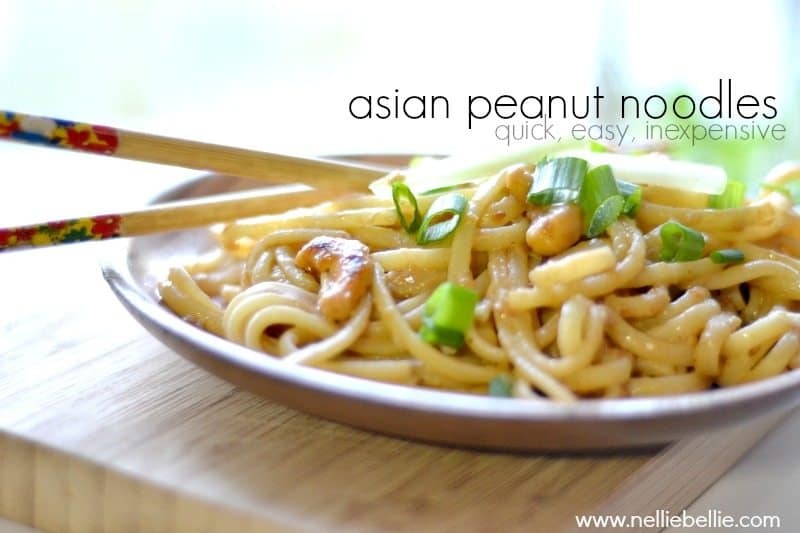 A family favorite here in the NellieBellie home, this recipe is easy, delicious, and fast! You’ll love it! Get the recipe HERE. 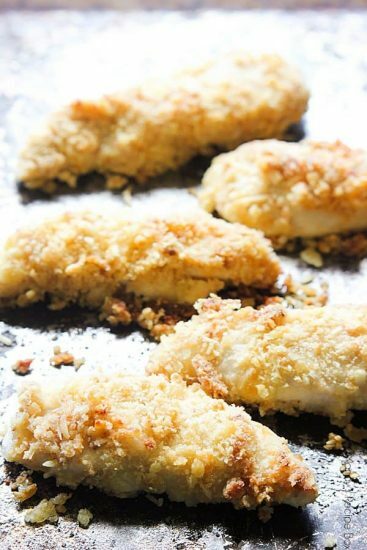 Frozen chicken tenders might be tempting because they save time, but these parmesan chicken tenders are SO much better than the frozen, store-bought kind. Kids will love these chicken tenders any time of year. You can serve them with any kind of dipping sauce to add a little flair to an already super-simple recipe. Directions are here. 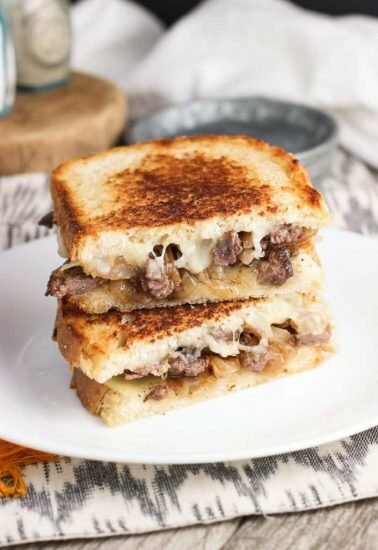 These cheesesteak paninis are perfect for either lunch OR dinner. They take less than 30 minutes to make from start to finish, and yu can customize the recipe with any kind of cheese and bread you’d like. These paninis are perfect for kids lunches, work lunches, or weekday dinners. You can find the recipe right here! Time to bust out that crock pot! Here is a great homemade take on a diner classic. 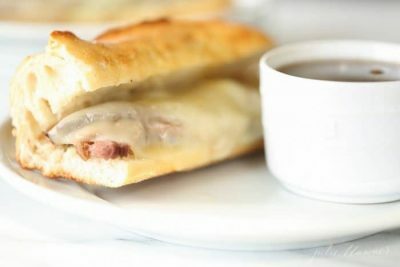 You can’t go wrong with a french dip – get the recipe right here! 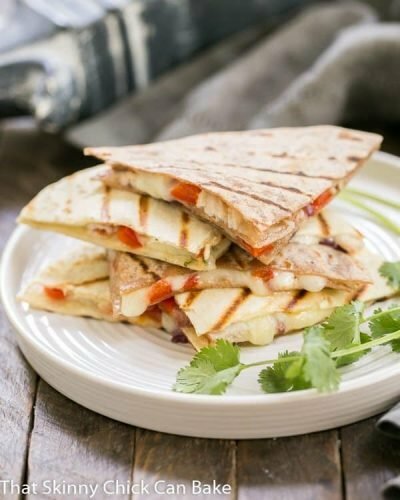 Quesadillas are super easy to make, and kids always seem to love them! So on a busy night when your kids are fussy and you don’t have time to fret over making a satisfying-enough dinner, toss together these pork quesadillas and watch magic happen. You can find the recipe here. Sloppy Joes are the ultimate simple comfort food, and they’re easy to make and perfect all year round. 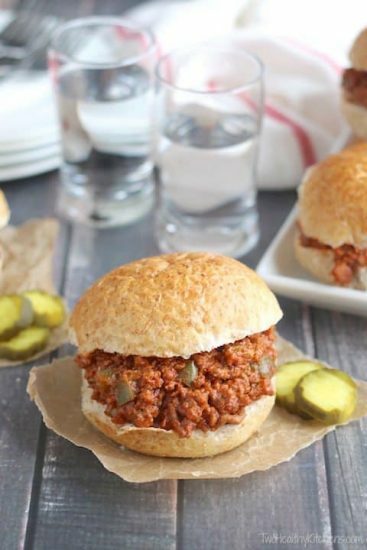 While we all have our own recipe for the classic, why not give this “best ever” Sloppy Joe recipe a shot and see if you’re turned into a believer. Get the recipe right here. If you are a slow-cooker lover you will want to check out 16 delicious Slow-cooker Desserts! 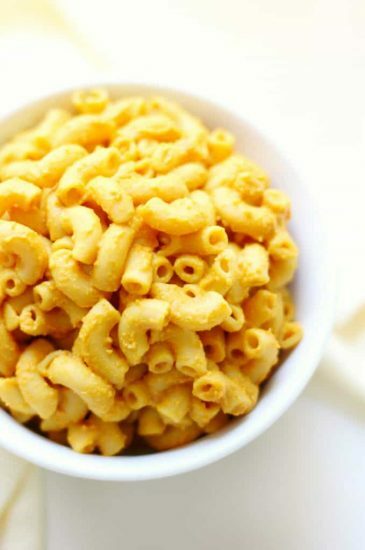 Mac & cheese is a favorite of kids and adults alike. Whether you make this dish as a side (it would go perfectly at a large family get-together) or make a larger batch for the main course, this autumn meal will certainly warm up the dinner table in the colder months. Find the recipe here. 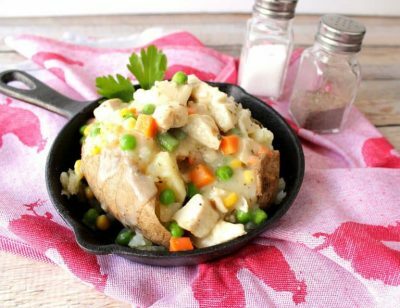 Chicken Pot Pie, but without the crust… Genius! Baked potatoes are elevated to the next level with all the comfort and delicious goodness of a classic pot pie recipe. Get directions here. 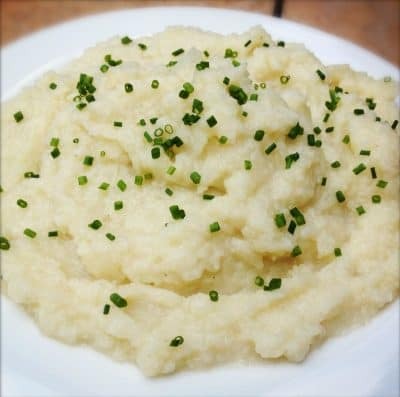 Cauliflower mashed “potatoes” are a popular alternative to the starchy vegetable these days, and this dish is just more proof of why that is. Dynamic flavors of kohlrabi and horseradish combine to make this a perfect side dish without the extra added guilt of butter-saturated mashed potatoes. Get the recipe right here. 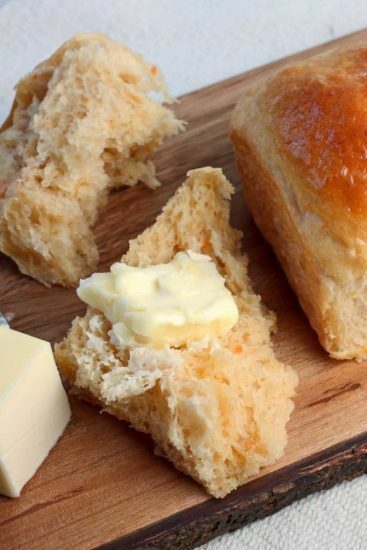 Who doesn’t love dinner rolls as a side? Use this sweet potato dinner roll recipe to mix it up at the dinner table and steer away from canned, store-bought rolls. Fluffy, soft, and delicious awaits you! The recipe is here. Did you know you can make Mac & Cheese fancy? This truffle mac & cheese takes you there. Another super easy mac & cheese recipe, this is ideal for family holidays as a side or main course dish. It’s perfect for sharing and perfect to make ahead and bake later, too. You can find the recipe right here. 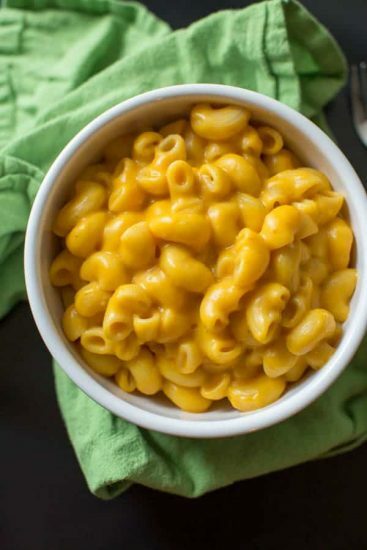 Do you think vegans ever miss making mac & cheese? Well, now they don’t have to. This delicious recipe is SO good, you’d never guess that it’s vegan. Your kids will love it! And I love mac & cheese recipes because they really are so easy. It never hurts to have a few trusty variations of the classic on hand. Get the recipe here. So there you have it; an ultimate round-up of easy meal ideas for busy moms that are perfect easy meal ideas for when the colder months strike and family schedules get hectic, dinner time is the perfect time to slow down and reconnect. These recipes will take the stress out of last-minute dinner needs for busy moms and families alike. Leave a link to your favorite Easy Meal Idea in the comments below! What a delicious round-up! A group of satisfying *quick* recipes for weeknights is so key. And thanks for including one of mine!